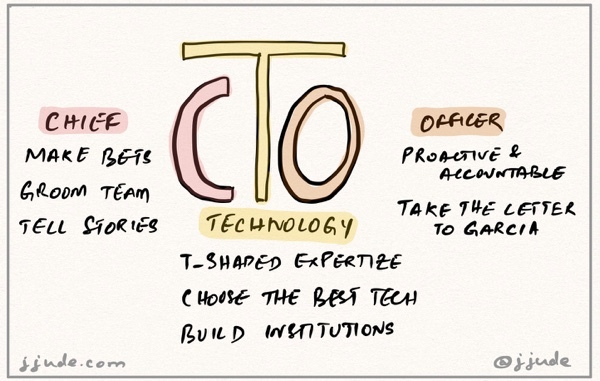 A self-reflective post about what each letter of the job title CTO means to me. Hashnode is a digital meeting place for software developers. I have been following them since their first avatar as devmag. Recently, Sandeep, their co-founder, requested me to write for their Hashnode Originals section. I chose to write about my experience as a chief technology officer. After trying in few different ways to write the article, I chose to write the article in a self-reflective manner. I choose to write what each word of the title means to me and how I performed against that definition. I liked how it turned out. Sandeep and team helped in editing it even better. The article is live now. Read it and spread it.